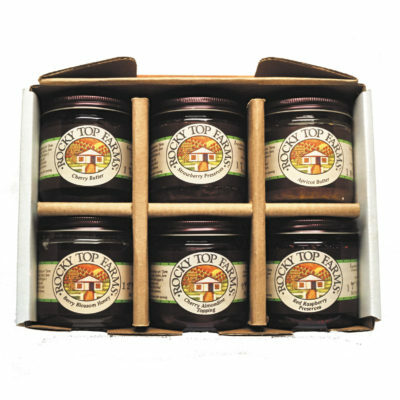 Select one of Rocky Top Farms’ preserves, toppings, butters or marmalade products and we’ll package 12 of them in a sturdy 12?L x 9.5?W x 3.5?H family pack shipping carton. Our 10oz. 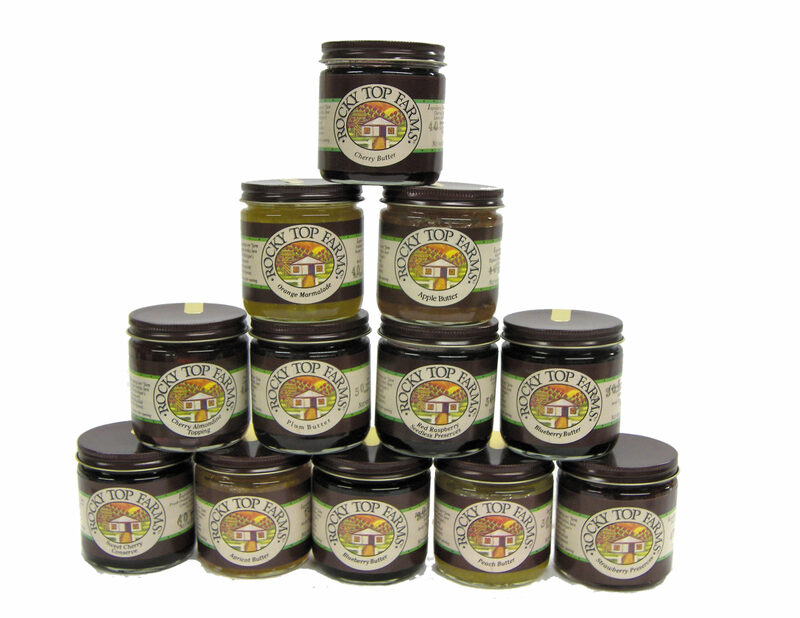 jars of gourmet goodness are hard to pass up at this value! Preserves: Tart Cherry, Red Raspberry, Red Raspberry Seedless, Sweet Cherry Conserve, Blackberry, Strawberry and Cherry Berry. 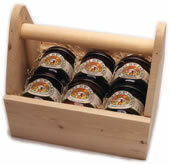 Fruit Butters: Cherry, Apricot, Blueberry, Apple and Plum. Specialties: Tangy Orange Marmalade, Rhubarb Chutney.